Scott County, Indiana, which only has a few thousand residents, has historically had an average of five HIV cases per year. Since December 2014, however, the county has seen an outbreak, with more than 140 newly diagnosed cases. Dr. Jonathan Mermin, the director of the National Center for HIV/AIDs, Viral Hepatitis, STD and TB Prevention at the Center for Disease Control (CDC) calls this “one of the worst documented outbreaks of HIV among IV users in the past two decades.” Dr. Joan Duwve, the chief medical consultant with the Indiana State Department of Health, explained that the abuse of the prescription drug Opana was one of the catalysts for the increase in HIV cases, with some residents injecting it as frequently as 10 times a day, and sharing syringes with other members of their community. HIV is mainly spread either by sexual contact with another person with HIV, or by sharing needles or syringes with someone who has HIV. One way to reduce the spread of the disease is to implement syringe exchange programs (SEPs) that reduce the transmission of blood-borne pathogens like HIV by providing free sterile syringes and collecting used syringes from injection-drug users (IDUs). The research assistant will work with the principal investigator Nir Eyal and collaborators from the Harvard TH Chan School of Public Health, Duke University, Massachusetts General Hospital, and the Brigham and Women’s Hospital as well as the ACTG HIV trial site network. The multidisciplinary team uses methods of clinical epidemiology, economics, simulation modeling, and normative theory to predict risks in early-phase HIV cure studies, assess how much likely candidates for participation understand those risks, and make ethical recommendations on the conduct of HIV cure studies. The research assistant will help prepare, conduct and analyze a pilot survey expected to take place in a US site of the AIDS Clinical Trials Group (ACTG). The survey will assess perceptions of HIV cure and of cure study risks. The research assistant will also promote other research and grant-related activities, through literature reviews and assistance in the preparation of abstract, poster, and manuscripts for publication, grant applications, a simple project website (using Harvard’s user-friendly OpenScholar platform), and slides for lectures and seminars. The research assistant will be in touch with top researchers in HIV cure, medical decision making, and ethics from around the country, to facilitate our meetings, a workshop, and regular conversations to plan the research and debate ethical issues around early-phase HIV cure studies. On Wednesday, South African Health Minister Aaron Motsoaledi announced that, as of January 2015, HIV-positive patients in the country would start receiving free antiretroviral treatment once their CD4 count fell below 500, instead of current threshold of less than 350. Some patient groups would start receiving antiretrovirals immediately upon being diagnosed with HIV infection, regardless of their clinical stage. Last month, Till Bärnighausen, Dan Wikler and I predicted in PLoS Medicine that sub-Saharan nations would move in the direction that South Africa is now moving, and pointed out a big complication. This policy change might make several gigantic trials of so-called treatment-as-prevention in sub-Saharan Africa impossible to complete successfully. As we explained, these trials remain important for assessing the potential of treatment-as-prevention to curb the spread of HIV in general populations (with many different relationship types and different levels of care delivery and support). In treatment-as-prevention, antiretrovirals are offered to patients immediately upon their diagnosis with HIV. The hope is that very early treatment would be better for these patients and prevent them from infecting others. We also offered some ways out of this mess, but they involve untraditional approaches to research conduct and to policy. Our piece was featured in the June issue of UNAIDS’ HIV This Month. 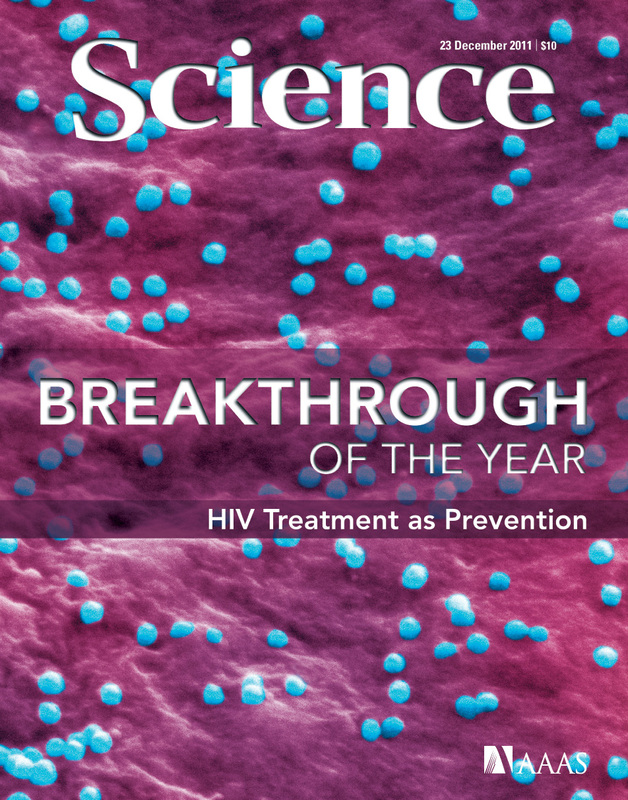 High hopes for overcoming the HIV epidemic rest to a large extent on HIV Treatment-as-Prevention (TasP). Large cluster-randomized controlled trials are currently under way to test the effectiveness of different TasP strategies in general populations in sub-Saharan Africa. At the same time, however, international antiretroviral treatment (ART) guidelines have already moved to definitions of ART eligibility including all – in the US guidelines – or nearly all – in the WHO guidelines – HIV-infected people. In this panel, we are bringing together the leaders of three TasP trials in sub-Saharan Africa, bioethicists, and public health researchers to debate the tension between the policy intentions expressed in these guidelines and the historic opportunity to learn whether TasP works or not. Please join us in considering different options to resolving this tension. But today I type to tell a happier story. This summer, the state of Nevada passed a statute authorizing syringe exchange and pharmacy sales. There are now 16 jurisdictions whose laws explicitly authorize syringe exchange programs (CA, CO, CT, DC, DE, HI, MA, MD, ME, NJ, NM, NV, NY, RI, VT, WA) and the number of states that require a prescription for retail purchase without exception has dwindled to ONE (Chris Christie’s New Jersey – Delaware, the other hold out, changed its law this year.) But the important thing is not the next halting steps in this slow trend, but the quality of Nevada’s legal contribution. This is going to get a little bit wonky in parts, but let me just take you on a quick tour of this marvelous statute, which drew from a model created several years ago by the Canadian HIV/AIDS Legal Network.